What to include in a New Mother’s Gift Basket? Is a baby shower party on the calendar recently? Are you frantically looking for a gift for the new mother or the soon-to-be-new-mom? Are you yearning to gift the best among all the guests? Yes? Then follow the lines till the end! Motherliness is the in born instinct of women, but suddenly changing the lifestyle from a wife to a mother is a bit challenging. Many women get confused in this sudden transition. Hence if you want to gift something genuine to this new mom, gift her something that can help her cope with her new life; something that can aid her in accomplishing her role as a mother. In a baby shower or a new born party, people usually take the gifts for the baby, but the mom also needs love and attention. Hence when attending such blessed events, make sure to pack a basket for the mom as well and wish the mother all good luck for handling the most important phase of her life. 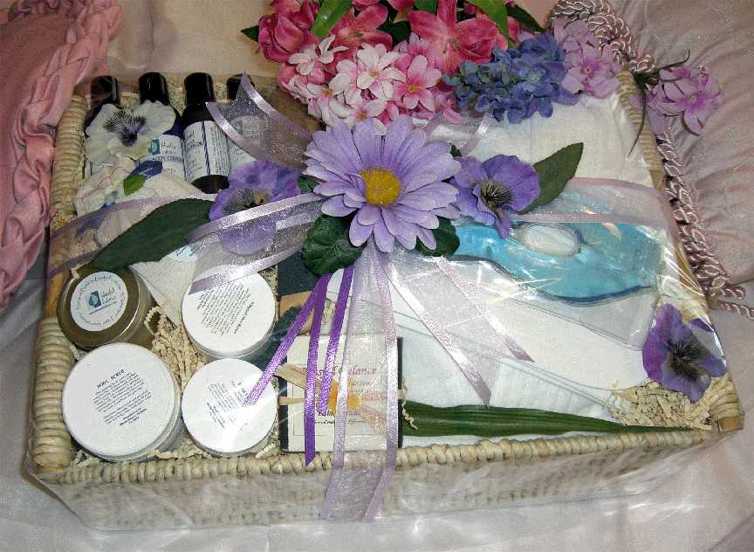 What should you include in a new mother gift basket? Fill the basket with gourmets. Even after the baby is born, mother needs rich foods as she has to feed her baby. Add fruits, cheese, high fat and carbohydrate rich foods to the gift basket. You can even add some of her favourite delicacies. Remember you cannot include everything in the basket; consult a doctor or a food expert in this regard. Anything that the mother eats affects the health of the child. Hence be particular in filling the basket. Loads as many vitamins and minerals as you can. Fruits and green vegetables are the best options. You can even add some baby accessories to the basket like some organic clothes, diapers, baby wraps, etc. You can even add something retreating! It’s something different and unique too! Give a therapeutic gift basket instead. Pack the finest brands of spa items in the gift basket. You can include a bath gel, sea salts, shea butter, nourishing body lotion, body oil, aromatherapy soap and candle, eye mask, pumice stone and sea wool sponge. You can seek the expert suggestions of a gift store dealing with gifts for new mothers. They can give you a personalized idea on packing a new mother gift basket. There are a number of online as well as traditional stores available. If you are looking for the best gifts to gift a new mom, you may consider your help via Blissful Balance. It deals with gifts for various occasions like birthday, baby shower, new mother, business, Valentine’s Day, etc. Customer friendly attitude and in-time delivery services are the chief aspects of its business portfolio.